Nigeria: 15 newly recorded Lassa Fever cases raise the outbreak total to 510 cases. From 1 January through 10 February 2019, 327 cases of Lassa fever (324 confirmed cases and three probable cases) with 72 deaths (case fatality ratio = 22%) have been reported across 20 states and the Federal Capital Territory, with the majority of cases being reported from Edo (108) and Ondo (103) states. Twelve cases have been reported among healthcare workers in seven states – Edo (4), Ondo (3), Ebonyi (1), Enugu (1), Rivers (1), Bauchi (1) and Benue (1) including one death in Enugu. The number of confirmed cases reported across Nigeria remains high. In week 6, 2019 (week ending 10 February 2019), 37 new confirmed cases including 10 deaths (case fatality ratio = 27%) were reported from nine states across Nigeria. The majority of cases were reported from Ondo (12) and Edo (10) states. The number of confirmed cases reported in week 6, 2019 represents a slight decrease compared to week 5 when 68 confirmed cases were reported (Figure 1). Of the 3746 contacts identified since January 2019, 2658 are still under follow-up while 1045 have completed 21 days of follow-up. Sixty contacts became symptomatic, of which 39 tested positive. Ninety-one case-patients are currently in admission at treatment centers across the country. The case-patients are being treated with standard supportive care. On 22 January 2019, the Nigeria Center for Disease Control (NCDC) declared the outbreak an emergency. Multi-sectoral One Health national rapid response teams have been deployed to Ondo, Edo, Ebonyi, Plateau, and Bauchi to support field investigation and response activities. Enhanced surveillance is ongoing in all states following alert communication and a press release from NCDC. Treatment of Lassa fever cases is also ongoing at designated treatment centres across the country. Risk communication and community engagement activities continue in the states. National awareness was improved through the recently concluded international Lassa fever conference which took place from 16 through 17 January 2019. Lassa fever is a viral haemorrhagic fever that is transmitted to humans via contact with food or household items contaminated with rodent urine or faeces. Person-to-person infections and laboratory transmission can also occur. The overall case fatality rate is 1%; it is 15% among patients hospitalized with severe illness. There is currently no approved vaccine. Early supportive care with rehydration and symptomatic treatment improves survival. Although Lassa fever is known to be endemic in Nigeria with the peak season anticipated from December through June, the current increase in new confirmed cases and deaths should be monitored closely and addressed appropriately. Cases in neigbouring Benin and Togo potentially originating from Nigeria have been reported in previous years and therefore neighbouring countries should be monitored accordingly. With twelve confirmed cases so far among healthcare workers, there is evidence of nosocomial transmission of the disease amidst reports of inadequate infection prevention and control (IPC) supplied in some health facilities and complacency on the part of health workers towards maintaining IPC measures. Prevention of Lassa fever relies on community engagement and promoting hygienic conditions to discourage rodents from entering homes. In healthcare settings, staff should consistently implement standard infection prevention and control measures when caring for patients to prevent nosocomial infections. 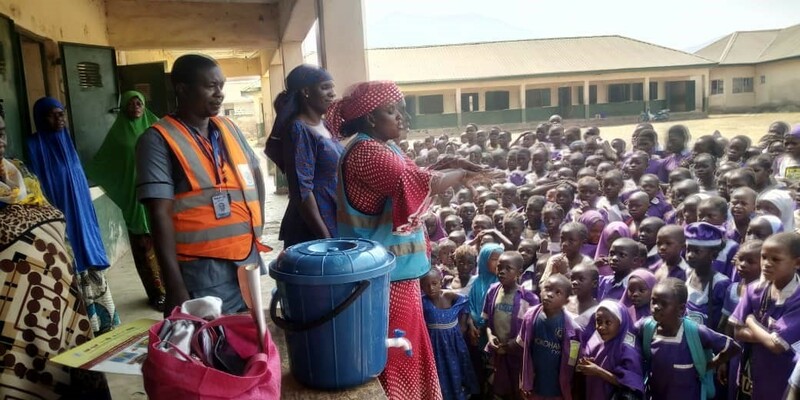 WHO continues to advice all countries in the Lassa fever belt on the need to enhance early detection and treatment of cases to reduce the case fatality rate as well as strengthen cross-border collaboration. WHO does not recommend any travel or trade restriction to Nigeria based on the currently available information. Nigeria: A Lassa fever outbreak affecting people in 16 states has grown to 213 confirmed cases, including 41 deaths. EVENT DESCRIPTION On 7 December 2018, the Ministry of Health in Benin notified WHO of an outbreak of Lassa fever in Borgou Department, located in the north-east, at the border with Nigeria. The event was initially reported by the departmental health authority on 6 December 2018, following detection of a suspected Lassa fever case in the Departmental University Hospital Centre (CHUD) of Borgou-Alibori in Parakou city. The case-patient, a 22-year old Beninese housewife who live in Taberou village, Kwara State, Nigeria, reportedly developed a febrile illness on 23 November 2018 while in Nigeria, from where she initially sought medical treatment. However due to lack of improvement, the family brought her back home to Benin on 29 November 2018 and she was admitted to the teaching hospital (the same day), presenting with fever, haematemesis (vomiting blood), and melaena (blood in her stools). The disease eventually progressed in the subsequent days, with conjunctival hyperaemia, severe weakness and dysphagia, among other symptoms. Blood and urine specimens were obtained and shipped to the viral haemorrhagic fever national laboratory in Cotonou, arriving on 6 December 2018. Test results released on 7 December 2018 were positive for Lassa fever by reverse transcription polymerase chain reaction (RT-PCR). On 6 December 2018, the spouse of the confirmed index case was found to have symptoms and a blood specimen was obtained, and the test result also turned out positive for Lassa fever. On 9 December 2018, one of the two children of the confirmed cases (a couple) developed high fever and a blood specimen was obtained and the initial test result was negative. However, a repeat sample tested positive for Lassa fever. As of 16 December 2018, three confirmed cases have been reported, with no deaths. The three patients are admitted in the CHUD and all are reported to be in good clinical condition. A total of 33 contacts, including 24 health professionals, four carers and four patients, have been identified and are being monitored. Further epidemiological investigations are ongoing. PUBLIC HEALTH ACTIONS On 7 December 2018, the Minister of Health held a press conference to declare the Lassa fever outbreak and provide information on preventive measures to the public. The Ministry of Health convened an emergency meeting of the Crisis Management Committee (CMC) on 7 December 2018 to plan and institute response measures to the outbreak. Structures of the CMC have been activated, including the sub-committees and coordination meetings have been scheduled at the national and sub-national levels. The national rapid response team have been deployed to the affected area to conduct detailed epidemiological investigations and support local response efforts. Isolation and treatment rooms have been prepared to manage the suspected and confirmed cases. Medical commodities, including personal protective equipment, medicines, and medical consumables previously positioned are being used, while additional supplies are being mobilized. Surveillance has been enhanced, including active case search, identification and follow-up of contacts. Public health education and sensitization of the population is ongoing, in particular native healers, opinion, religious and traditional leaders. Dissemination of public awareness messages on prevention measures through local radios and other communication channels is taking place. Aware raising activities have been conducted, targeting taxi and motorcycle-taxi drivers, community relays, religious leaders, teachers and traditional healers, aimed to improve case detection and prevention of Lassa fever infections. SITUATION INTERPRETATION An outbreak of Lassa fever has been confirmed in Benin, with an epidemiological link to Kwara State in Nigeria. The national authorities have moved quickly in the bid to contain this outbreak, to prevent further spread and establishment of local transmission. Several measures have been instituted, including contact identification and follow-up, aimed to promptly detect, isolate and investigate suspected cases for speedy laboratory confirmation. Further investigations are also ongoing to better understand the outbreak. However, this event should be a wakeup call to the national authorities to step up preparedness measures for Lassa fever across the country, especially along the borders with Nigeria. Functional port health services and cross border surveillance is paramount, in light of the fact that the index case in this event crossed the border with symptoms. Improving routine universal precautions in healthcare settings is also critical, since about 70% of contacts during this event are health professionals. Since the onset of the 2018 outbreak, there have been 123 deaths in confirmed cases and 10 in probable cases. For the purposes of the R&D Blueprint, WHO has developed a special tool for determining which diseases and pathogens to prioritize for research and development in public health emergency contexts. This tool seeks to identify those diseases that pose a public health risk because of their epidemic potential and for which there are no, or insufficient, countermeasures. The diseases identified through this process are the focus of the work of R& D Blueprint. This is not an exhaustive list, nor does it indicate the most likely causes of the next epidemic. Several diseases were determined to be outside of the current scope of the Blueprint: dengue, yellow fever, HIV/AIDs, tuberculosis, malaria, influenza causing severe human disease, smallpox, cholera, leishmaniasis, West Nile Virus and plague. These diseases continue to pose major public health problems and further research and development is needed through existing major disease control initiatives, extensive R&D pipelines, existing funding streams, or established regulatory pathways for improved interventions. In particular, experts recognized the need for improved diagnostics and vaccines for pneumonic plague and additional support for more effective therapeutics against leishmaniasis. The impact of environmental issues on diseases with the potential to cause public health emergencies was discussed. This may need to be considered as part of future reviews. The importance of the diseases discussed was considered for special populations, such as refugees, internally displaced populations, and victims of disasters. The value of a One Health approach was stressed, including a parallel prioritization processes for animal health. Such an effort would support research and development to prevent and control animal diseases minimising spill-over and enhancing food security. The possible utility of animal vaccines for preventing public health emergencies was also noted. Also there are concerted efforts to address anti-microbial resistance through specific international initiatives. The possibility was not excluded that, in the future, a resistant pathogen might emerge and appropriately be prioritized. *The order of diseases on this list does not denote any ranking of priority.